2nd prize in non-open design competition with 16 participants. With currently over 13,000 students, RheinMain University is one of the largest universities of Applied Sciences in Germany, with the Kurt-Schumacher-Ring campus representing the largest of its locations. 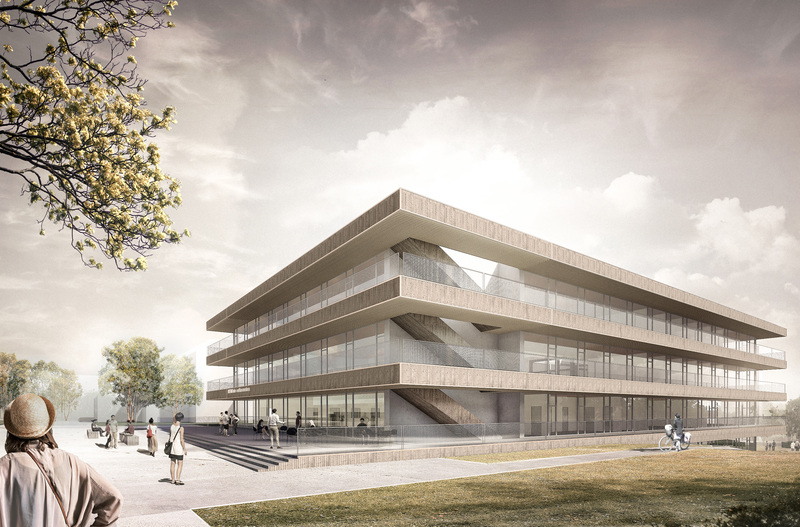 In order to accommodate the university’s constant growth, a new building is planned which will help to increase capacity and improve learning conditions. Located in the midst of a heterogeneous environment, the new building stands out with its clear, large-scale structures and simple spatial organisation which ensures accessibility at all levels. The result is an open house in terms of both content and design, formed by stacked floor plates and intervening transparent storeys. The combination of warm wood with smooth, exposed concrete characterize the external and internal appearance, while the durability of the materials ensure sustainability and low long-term maintenance costs. Under the premise “short distances” the spaces are all connected and the layout is readable and self-explanatory. The use of space, especially for the learning centre, is maximised through the strong interlinking of the different areas. The centrally located library acts as the centre of knowledge, surrounded by areas such as group and individual workplaces as well as offices for services. Small glazed yards create zones while also illuminating and aerating the flowing space. Due to the planned mixed use of the building, areas are optimized and corridors are mostly not necessary. 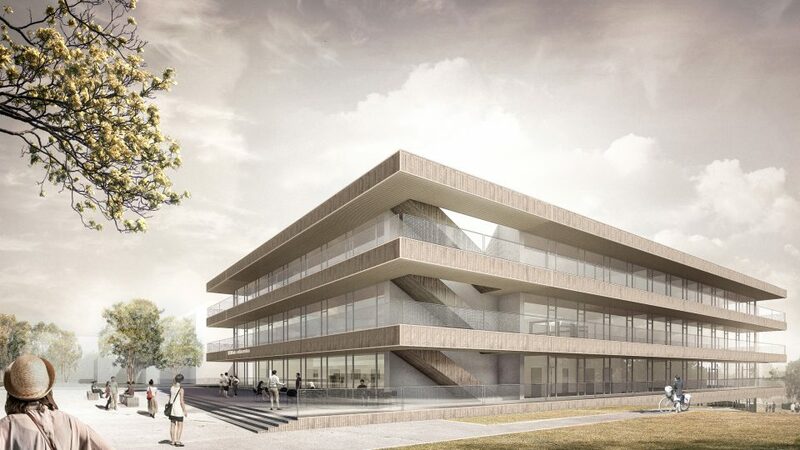 Through the choice of building typology and the uniform building and construction grid, a high degree of long-term flexibility and multi-functionality in the building is guaranteed.